A lovely and warm Sunday evening in London and I found myself inside the Theatre Royal Haymarket to watch what was advertised as the hottest dance show in town: Revolution. I admit my main reason to go and see this was the fact that Adam Garcia was in it. I always find it hard to resist the chance to see one of the most beautiful men on the planet (in my opinion at least) on stage. So what exactly is Revolution? I’d call it a futuristic multi media commercial dance show. Doesn’t sound too bad, does it? The problem is when something is called the most innovative dance show in town I expect some amazing dancing and seriously stunning dancers. What I got to see was average video clip dancing and good but not amazing dancers. The whole thing is supposed to have a story line centering around a Queen (Kimberly Wyatt from the Pussycat Dolls) who has to lead her people through various challenges in order to achieve divinity. Sounds weird? Well, I’ll put it briefly: It makes no sense on stage whatsoever! Seriously, this has to be the most pointless show I have seen in my life. It was just dance after dance and it dragged on forever. “But what about Adam Garcia?” you may ask. He is brilliant – simple as that. His tap dancing never fails to amaze me and he’s got a fantastic stage presence. The problem is that he is on stage for about 15 minutes out of almost 2 hours. Kimberly Wyatt appears a lot more but her dancing is in my opinion average and most of the time she just seems to prance around rhythmically. This might work for a Pussycat Dolls music video but in this show it is just plain boring. The times she actually dances her facial expressions are so completely OTT it’s almost comical to watch. The company of dancers does a good job but none of them managed to really impress me. I’ve seen better dancing in various West End shows by members of the ensemble. Plus they were quite out of sync several times. No one is perfect, of course, but in a show like this with all the “incredible dancers” I expect a little more perfection. And it says a lot when the dancer I enjoyed watching the most is a 10 years old street dancing kid. Call me harsh but these were two hours of my life I will never get back. The audience seemed to enjoy it so it might be just me not appreciating the whole innovative concept – or maybe the rest of the audience were just easily pleased or die-hard Adam Garcia and / or Kimberly Wyatt fans. Who knows? All I can say is I’m glad I didn’t pay for the ticket and the show lasted for “just” 2 hours including the interval. 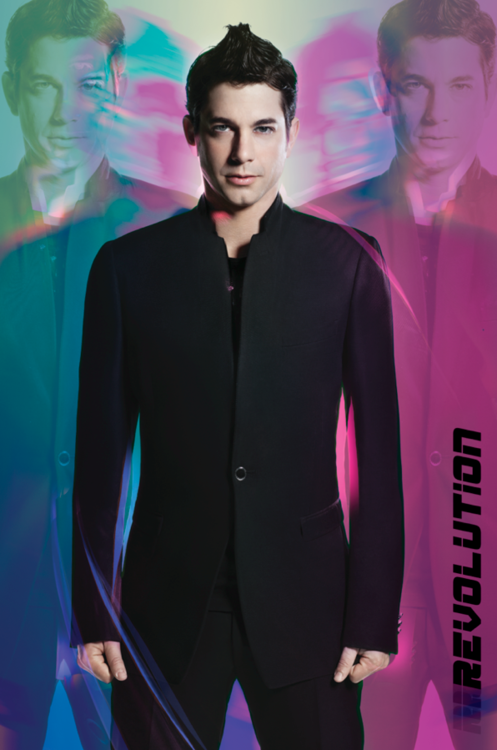 The slogan of the show is “Join the revolution”. I’m sorry to say I’ll have to decline that offer. Jesus what is this? What a god awful review, clearly no understanding of the show, completely pointless typing up a review and the only response you have from it is a disgusted one from myself. You say you have been a theatregoer since you were a teenager but can you say you’ve actually been to a show like this? Typical stuffy, snobby, opinionated ‘theatre goer’ Terrible review, no structure, no depth or information in this review. Hope this isn’t your day job. I have been a regular theatregoer for the past 15 years and I’ve seen shows I enjoyed and shows I didn’t like. Everyone’s entitled to an opinion. I respect yours and I’m glad you had fun watching Revolution (I’m guessing you had from your very passionate response to my view on the show). I love watching good dancing on stage. Musicals with great dance scenes got me interested in the world of theatre. And to answer your question: Yes, I’ve seen dance shows before. The wonderful “Shoes” at Sadler’s Wells and Susan Stroman’s “Contact” to name just two. And I loved those shows. Snobbish? I don’t think so. I enjoy jukebox musicals, a show doesn’t have to be Sondheim to please me. But Revolution just wasn’t my kind of show and yes, I was disappointed. No in depth review – well, I’m sorry to say I just didn’t see the point. In how many ways should I have said I didn’t like the show?